The radio signals cover over 152 U.S. cities. You even don’t have to set the location. The weather clock will configure automatically. Of course, you can also store 5 favorite cities for easy reference. The “Feel Like” feature integrated perspectives of wind chill, humidity and more can tell you its real feeling outside. 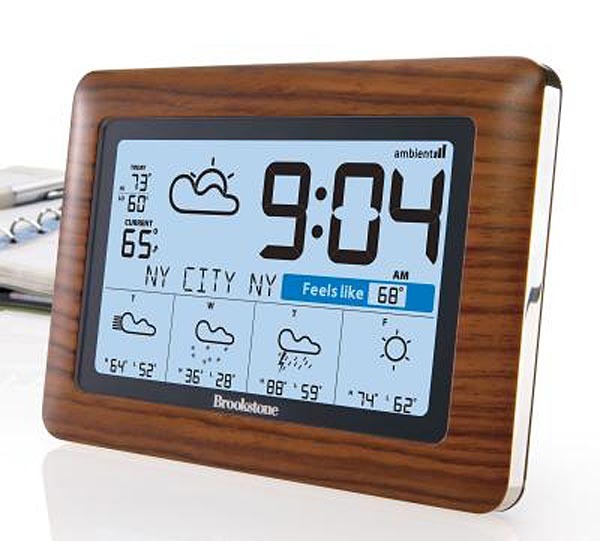 Additionally, the weather station has a built-in stand, woodgrain outer frame, and needs 4 AA batteries for power. 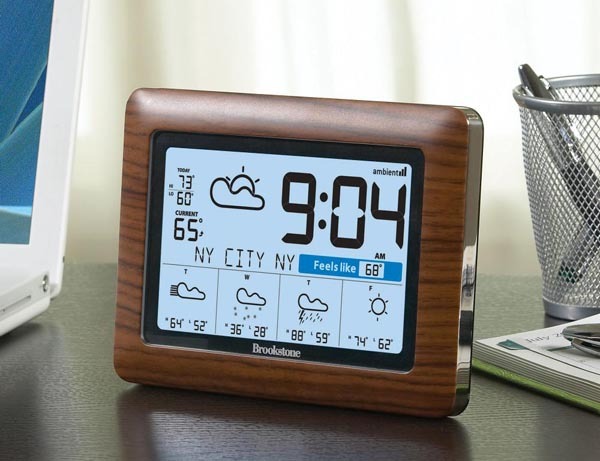 Brookstone WeatherCast weather station clock is on sale now. If you’re interested, the weather clock is available at Amazon (unavailable) for $49.95 USD. By the way, don’t forget to check the eco-friendly solar powered weather station.